The trek to Faculty Memorial Hall or Keating Hall seemed daunting in such extreme temperatures. Many commuting students and professors chose not to make the dangerous trip entirely. A student even started an online petition late Wednesday night in hopes of convincing the administration to cancel all Thursday classes. Fordham did not cancel classes, though the petition did garner 3,000 signatures by the end of the night. 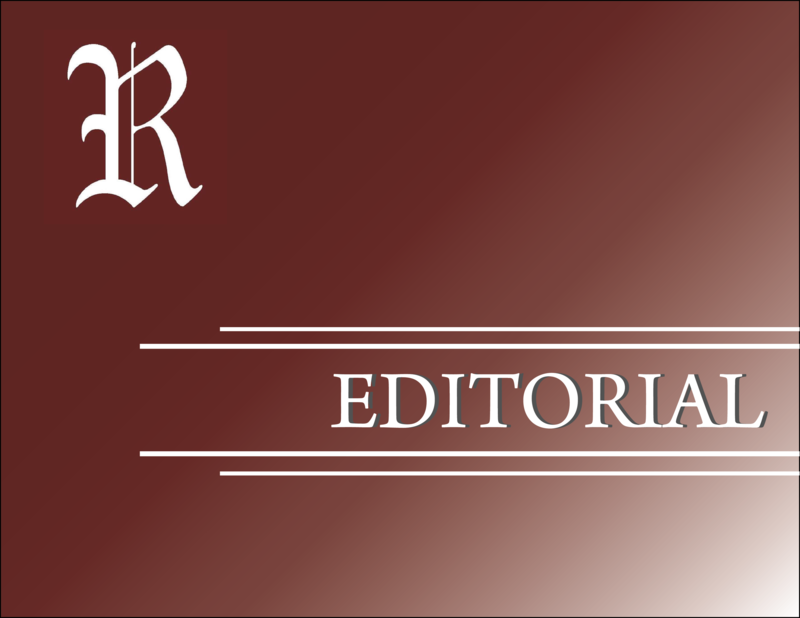 However, the circumstances got the Editorial Board of The Ram thinking about those who suffer most from inconveniences such as the ones posed by our recent inclement weather. Commuters are an integral part of the Fordham community. They make up almost a quarter of the undergraduate population. Yet, many face obstacles during their time at Fordham. Commuting students should not have to bend over backwards to be afforded the same opportunities to thrive that resident students are. Though surely signed by some students looking for some much-needed downtime, the petition to cancel classes was created with the aim of protecting commuters’ safety. “It’s going to be very cold tomorrow, making it difficult and unsafe for commuting students and commuting professors to make it to class,” read the opening line. Commuting students who drive to campus faced icy roads and potential car malfunctions. Students who opt for the train or bus faced brutally cold waits at stations and potential transit delays. Many were forced to make the difficult decision of prioritizing their safety over attendance to courses they pay a great deal of money to attend. Bad weather is not the only issue commuters experience on a regular basis. Those who drive to campus have difficulty finding spots in the parking garage, as they share the limited space with university employees, professors, prospective students and the like. After students make their way to campus, there are not many spaces for commuting students to kill time before, between or after their classes. When the weather is beautiful and mild, there are ample outdoor areas around Fordham in which to spend time and do work. When it is frigid, snowy, windy, rainy or sweltering, commuting students looking for a place to spend time indoors are confined to certain spaces that often prove to be insufficient. The commuter lounge in the basement of McGinley is one such place. Here, students can find seating, tables, a television, a pool table, some antiquated desktop computers and some printers that do not always work properly. The commuter lounge is a great space for students to relax, hang out and meet other commuters – when it is not overly crowded or overly noisy, and if one does not mind the perpetual lack of natural light. Other areas available for commuters to spend time in are either haphazardly dispersed or disproportionately subterranean. Students can pass time in Starbucks, Dagger Johns or the caf, as long as these places are open, there is available seating and they are willing to purchase something. Students can head to the lounge spaces in Keating Basement – again, underground – or McGinely Second, as long as they do not mind the unpredictable nature of both areas’ seating availability and noise-level. It is extremely difficult for students to be productive during their minimal downtime when the only available spaces are inconvenient or unconducive for productivity. While the commuter lounge is useful for socializing, commuting students lack a relaxed but focused study lounge that is less formal than the library and more comfortable than a wooden pew. Similarly, the area is currently under construction until Feb. 8. Though the inconvenience will displace many students for the time being, the renovation is a much-needed and appreciated aesthetic improvement. The university does provide some resources for commuting students. However, these resources just slightly miss the mark. Commuter Student Services (CSS) sponsors a weekly breakfast in the lounge on Monday mornings meant to connect commuting students and offer them the chance to start the day with a full meal. However, food tends to run out quickly, and enthusiasm for the event goes with it. The Commuting Students Association (CSA) hosts a yearly town-hall discussion during which the group listens to commuting students’ feedback and attempts to work out solutions. However, the town hall began at 6:00 p.m.; it is difficult for efficient and longstanding progress to be made with such an infrequent forum held at such an unsuitable time for students attempting to avoid rush-hour traffic or traveling after dark. These town halls are valuable opportunities for commuting students’ voices to be heard and real progress to be made. However, the event garners little student involvement due to its lack of momentum and inconvenient timing. Commuting students also have difficulty participating in some clubs because of similar time conflicts. Even The Ram does not offer the most conducive structure for commuting students. Our production schedule requires that students work late into the night on Tuesdays. While commuters might be able to write or copy edit, it is difficult for these students to commit to the full-time responsibility of joining our staff. However, we have been taking and will continue to take steps towards being more accessible and accommodating for commuting students. Our staff currently consists of three commuters, of 22 students in total. We recognize that this number is not at all high enough. However, The Ram hopes to continue to make progress in providing an environment in which commuting students can thrive as unimpededly as their resident peers. We hope other clubs are taking these steps as well. For its part, Fordham should make more practical lounge spaces available on campus. The university should designate a commuter-only level of the parking garage and have Ram Van shuttle service run to the 4 train as it does for the D train. CSS should receive more encouragement and funds from the university to better plan its programs. Fordham should allocate more resources and guidance to CSA so it can offer commuters more frequent and more aptly timed town halls. On-campus clubs should aim to meet primarily during the activity periods that are intentionally left open for student activities. All students deserve to make their mark on campus. All students deserve to have their presences known and voices heard. All students deserve to feel like Fordham is their home, whether they sleep here or not. The Fordham community should make it a priority that all commuting students truly feel a part of the community they add such value to.